Written in the latter years of the Ebon Keep Dynasty, in a time renown for diabolism and human sacrifice, Laws Of The Aethereal Spheres is an account of the great sorcerer Bruen Prouses's attempts to divine the structure of the universe and how it might be bent to his whim. The prose of the book is dense and its syntax twisted in unconventional ways. In a way, the unreadability of the book is a good thing. This is because anyone capable of decoding Prouses's writing will surely go mad from the horrible truths that his circuitous sentences obfuscate. Although Prouses lost his sanity and eventually disappeared entirely, his masterwork was completed and found its way into the hands of other sorcerers. The first new owner of the book, Maine Cheever, purchased it when Prouses's possessions were sold off to cover his debts. Cheever, a powerful and jealous wizard in his own right, studied the work and attempted to replicate Prouses's feats. After a decade of work, he also went insane and commenced to unleash his powers on the the local population. Cheever's reign of terror was eventually end at the hands of the barbarian king, Drejan of Oranta, who burned the wizard's tower to the ground. The barbarian's closest advisor, Trilake, discovered the book completely unharmed as he sifted through the ashes. He, too, fell into its madness. To save his friend, Drejan stole back the book, had it bound in iron chains, and tossed into a volcano. There it was lost for several decades until an eruption flung it, again unharmed, far from the mountain. To this day, the cover of the book still bares the mark of the iron where the chains melted against its surface. The tome eventually found its way into the hands of a merchant prince, Civeodalimpac. Having heard the stories about the book, the merchant sought to copy and sell it to interested scholars. However he soon discovered that Prouses's enchantment did more than protect it from harm. It also prevented anyone reading the book to transcribe its words to another book. No matter how they might try, the scribe can do little more than write vague impressions of the material they are reading. Thus, the original Laws Of The Aethereal Spheres is the only copy in existence. The book has traveled from nation to nation, passed from one mad man to the next, either by chance or by force. Occasionally it will disappear for years at a time where it become a myth for storytellers to scare children and caution the adults over the dangers that reading the wrong book can bring. But eventually the tome reimmerges and wreaks havoc on the world again. While most of the book consists of Prouses's narrative describing first his search for universal truth and power, and second the manifold horrors he eventually discovered, it also details the ritual he used to contact the outer planes. Although the spell could be of great use to any would-be archmage, there are two problems with it. First, the ritual does not actually do what Prouses proposes. Instead of allowing him make queries of celestial beings, the spell opens a portal directly into their minds, allowing the caster to sift through their thoughts and memories directly. This can be dangerous for the sorcerer's mental health as well as draw the ire of the spell's target. Second, the ritual cannot be performed as stated in the tome. In particular, the focus Prouses describes, a silvered mirror, does not function for purposes of this spell. Instead, an wooden frame gilded in gold is required for the ritual to be cast. The specific mirror Prouses used for his research had such a frame, but the sorcerer incorrectly attributed the power to the mirror without further testing. Due to the inability to copy any part of the book, including the ritual, no prior owner of the book who has worked out the error has ever been able to pass this knowledge on to later owners. My wife and I are in the middle of packing for our anticipated move. We started with the books because the task dwarfs every other. We are still working on that. One of the stacks I did pack was my To Be Read pile. As I did so, one of the books caught my eye, like I forgot it was there. So I pulled it from the box and decided to read it next. My wife thought I would like An Abundance Of Katherines by John Green, which is how it found its way to my pile. At the start of the book, Colin Singleton, a seventeen year old child prodigy, has been dumped by the nineteenth consecutive girl he has dated named Katherine. To get him out of his funk, his best friend Hassan suggests a summer road trip. Together they end up in the town of Gutshot, Tennessee where they meet new people, get to know themselves better, discover that the future isn't as bad as they suspected. After seeing John Green at the LA Times Festival of Books, I was interested to see what he wrote. However, I was initially hesitant about this book. First, describing Colin as a boy who has dated nineteen girls named Katherine makes him sound like a freak. (He's not really. There's an explanation and everything.) Second, my wife thought I would like it because of the math. (Don't worry, it's story math. You don't really need to know it for the book to work.) But I'm glad I picked it up anyway because it was a well-written book. John Green's greatest strength in the novel is how well he crafts believable, if quirky, characters. Colin in questioning himself, trying to figure out how to leave a mark on the world, and mourning his failed relationship. Hassan is avoiding all thought of responsibility while enjoying his time in the world. Hollis and Lindsay, a mother and daughter they meet in Gutshot, are dealing with their own issues, which I will fail to disclose in the interest of not spoiling the book. But all of their troubles are very human and they deal with them with humor, determination, and not a little pain. I really enjoyed An Abundance Of Katherines and I would like to read more by John Green. His book was very readable and very authentic. As a matter of fact, I think there is another book on the shelf that I might have to pick up. There are two events happening almost simultaneously in the MMO space and I find myself pulled between both. On one hand we have Champions Online: Free For All, Cryptic's free-to-play implementation of their great superhero MMO. (That link is to the patch notes, all 23,000 words of them.) On the other hand we have Beta 5 for Rift, the next candidate for fantasy MMO flavor of the month. Since I was home all day Tuesday, I had the time to take a look at both. When I started Champions, I immediately rerolled my new character from the beta test. Not that I played in the beta very much. Unless a game is ready for prime time, I can't deal with it. But I did jump in during the last week after the launch date was announced and had a really good time. Amazona here (I make no claims of originality) is a Might based hero. So many superheroes do all their fighting with their fists that I felt like I was missing out of something with most of my characters. Beating people up is a lot more satisfying than I expected. Might may be just one power framework in a sea of many more flashy choices, but it shouldn't be overlooked. Also, Superjump is way too much fun. I enjoyed playing through the tutorial again. There were a few tweaks, but mostly it was nice to have so many people around. Cryptic added a few new cutscenes which do a good job bridging the tutorial with the rest of the game. And then the new quest line in Millennium City's Westside is off to a fun start. Even the UI got some much needed love. It looks and feels much neater now. I'm not far into it, but I'm enjoying my time with Champions again and I look forward to seeing how far my new character can go. I didn't want to overdo it with CO, so I also jumped over to Rift. My take away so far: all the good stuff and all the bad stuff everyone has said is pretty much true. Funny that. The game does feel really familiar. But heck, it's an MMO. That's what we expect. But for the time being, it is a breath of fresh air. There are place to explore, mechanics to work out, people to meet. How soon that will wear off (see Tipa's recent Daily Blogroll to see what I mean) I can't say. That's why I'm probably not going to play the beta for much longer. I've already made my pre-order and I know that I want to put some time into learning the game. But I'd rather do that after launch instead of now. Now I'm going to point out a couple things that struck me about the game. Any fans should take this with a boulder-sized grain of salt. First, I don't know what it is about the game, but everything looked a little fuzzy to me. Maybe I had the antialiasing up too high, but even the text seemed a little blurry. Not a deal breaker, but it all felt a little too soft. Second, and this would be a deal breaker if it continued, the very first rift even I participated in lagged so bad that it was completely unplayable. I noticed a patch was quickly released to fix performance issues with public groups, so I hope that resolved the issue. But I haven't seen another event to check it out. Even with that, I had a lot of fun just running around and killing stuff. It was very much an MMO, but that's not a bad thing. I actually like MMOs. And there was enough new to discover that I look forward to seeing more. Before I go, you might be interested to check out a new blog about CO, Let's Play Champions Online. I'm curious how the conversion to F2P disrupts his journey. Benjamin has a good handle on the game so give it a read. There is a lot of finger pointing going around lately as to why people are dissatisfied with World of Warcraft: Cataclysm. Wolfshead started us off with his long expected denunciation of the expansion, describing Blizzard like suicide bombers trying to take down the MMO industry. Lonomonkey tried to parse out the reasons why people are turning away from the game so soon, coming to the conclusion that the theme park is now much to theme parky. And Larisa tries to put the brakes on the Hyperbole Express while pointing out that this cycle has already happened before. As such, I think she hits a lot closer to the mark. While any number of people want to blame Blizzard for some perceived failure, I think we all need to take a long look at ourselves and the role we play in how we feel about a game. When Cataclysm was released, it was greeted with high expectations and the highest of praise. It was hard to turn anywhere without seeing "the best expansion yet." Based on where the game has been and where Blizzard wanted to take it, I agree. Cataclysm is the apotheosis of the Blizzard-style MMO. The problem comes from whether you still like the Blizzard style of MMO. Many people do not. Some don't yet realize that fact, so they blame the game they have played for months or years for suddenly failing them. Wolfshead seems to glee in how terrible the game is now. The game has changed over time, to be certain, but never to become unrecognizable from how it stood in 2004. But we, the players, have also changed. I sometimes wonder about the expectations of MMO players. In what other type of game or any other form of entertainment do you expect to receive years of enjoyment? A movie will last two or three hours, a book a few days to a few weeks, a television show will give us 11 to 24 hours for maybe a few seasons if we're lucky. But we expect that an MMO will continue to be entertaining month in and month out over the course of years. That is unrealistic. If you are feeling a little lost in your current MMO, take a moment to check your total play time. Across my three main characters, I have about 100 days of time played. Is it really surprise that I'm burned out on the game? Cataclysm was enough to get me excited again but it is still the game I burned out on months earlier. That is not Blizzard's fault. I just don't need WoW to be my one true game anymore. We are long past the point where finding a Rift beta key is hard to do. Mine just showed up a couple days ago with my pre-order. But along with it came a couple extra keys, each supposedly good for 25 invitations. I don't know 50 people rushing to jump into the game so I thought I would share it with the wide open internet. Just go to http://accounts.RIFTgame.com, set up an account, and enter the code. If you get one to work (or if one doesn't work), let me know in the comments. See you in game. I haven't talked about Dragon Quest IX since last August. I meant to, but I put the game down right around the time I started on a second post and didn't get back to it until recently. Funny thing is, I stopped about four boss battle away from the end of the game. I don't know what's wrong with me. When last I posted, I was still working my way through the story, but I was quickly sidetracked by the treasure map system. While it is actually the endgame content, you can get an early taste of grotto (read that as random dungeon) hunting. You get one treasure map about midway through the game from a quest. Once you fight your way to the bottom of the grotto, you fight the boss and win a new treasure map as well as a small chance for a unique item. At one point during my play time, I completely abandoned the main story to delve new grottos and get win higher level maps. One side effect of this was that I discovered that my party was not perfectly equiped to handle the endgame bosses. So what does one do in DQIX when you don't have the right skills? That's right, you change your character classes and start leveling from 1 again. In this case, I changed my warrior into a paladin to get the defense buffing spell. Once she was up to an appropriate level, the boss fights became much more manageable. The end of the game, when I finally got to it, was exactly what I wanted from the game. My party fought through the corrupted final dungeon, defeating a number of boss returned from the dead, and then the final villain (twice). And even through I had put down the game for a few months, all of the emotion still came through when the story drew to a close. Getting to see how the world was changed by my character's work was great. It was exactly the ending I was looking for in the game. When the credits had finished, your party is returned to the world to explore the endgame. Upon teleporting to Stornway (the main city in the game) I discovered how much the NPCs had been updated to know the new state of the world. Everyone was talking about the treasure map craze that was sweeping the population. At that point I saved, closed my DS, and put it away. I may return to the game some time. I do want to see more of the grottos and complete the endgame quests. But for now I've gotten everything out of Dragon Quest IX that I was looking for. Finishing the game just reaffirmed it was one of my Top Five from last year. Nothing in the recent updates was enough to make be go back to EVE Online, even after receiving several free days to play. It's not a game I can really sink into like some others. Sometimes the openness of the sandbox is so overwhelming that I get lost and wander without purpose. But sure enough, the new character creator got me to resubscribe just to check it out. The character creator was amazing. I loved being able to sculpt my character just by clicking-and-dragging her body. Stretching and squishing bits and pieces felt really good. Much better than nudging a battery of sliders around, hoping that you find just the right look. It took me about an hour to achieve the portrait above and I'm pretty happy with the results. Most of the characters I've seen look amazing. I was a little disappointed with the clothing and hairstyle available, but I'm sure the options will explode when Incarna finally launches. 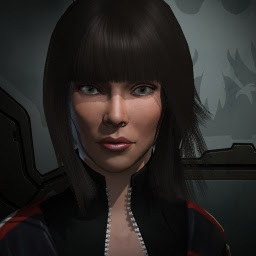 I doubt this will be enough to keep me interested beyond the current month, but I really like what CCP has created. I may spend the entire thirty days making and remaking new characters just to see what I can create. Although it came out a year ago, I didn't hear about Digital: A Love Story until it started cropping up on various year end Top Ten lists. I had no idea what it was about so I download and installed it. Then I forgot about it for a while. Last night, I sat staring at my computer in that malaise where none of the games seem worth the effort for a double click. Then I noticed Digital sitting among that field and decided to give it a try. I am very glad I did. Set in the long past (in computer terms) of 1988, you play as owner of a new computer learning to navigate the BBS scene. The game plays out in a faux Amiga desktop. You have a dialer program with which to call the one BBS number you know. Slowly you get to know the people on the board, gather more information, and investigate more systems. Slowly a mystery unfolds that you must use your growing hacker abilities to resolve. I wasn't online in 1988. I was just a freshman in high school and I was only vaguely aware of the growing online world. But I heard about BBS's and the communities that grew up around them. Digital brings that world to life again. It may not be note perfect, but it feels remarkably like the hacking your way through the computers of yore. If you have any nostalgia for the time, this game will make you remember the old days of computing. By the time I was reached the end of the game, I had spent the last several minutes standing in front of my desk, unable to sit down while the scenario resolved. I hunched over my keyboard as I typed in phone number, cursed when a stolen phone code would be pulled, paced while my modem connected to the next BBS. I haven't been that tense playing a game for a while. It pulled me into its world and I felt all of the anxiety that story was expecting. If you have a couple hours, give it a try. For both the story and the evocation of the era, it is worth the time. When people at work ask me what I've been playing recently, more often than not my answer is Pac-Man Championship Edition DX. And their response is universally "Pac-Man?" Yes, Pac-Man, but better. You would think I'd be better at explaining the game considering the number of times I've done it. So hang with me. You start with Pac-Man which means dots, ghosts, power pellets, and fruit. But instead of clearing stages, each time you eat all the dots on one side of the screen, a fruit appears on the other side. When you eat that fruit, the cleared side of the screen is redrawn with a new maze and new dots. You have to contend with the usual ghosts, but there are also sleeping ghosts littered throughout the mazes. When you pass by one, it wakes up and starts chasing you. Eventually you have a long train of ghosts following you around until you finally get a power pellet. Then you turn around and you eat ALL OF THOSE GHOSTS! As you eat ghosts, the game starts to run faster and faster until you're running at breakneck speed through the mazes. Finally, if you're about to run into a ghost, the game goes into a Matrix-like bullet time so you're able to correct yourself and avoid death. And even if you're trapped, you can set off a bomb that will throw all of the ghosts back into the home box so that you have a few seconds respite before the chase resumes. Actually, just watch the Giant Bomb Quick Look. Seeing it in action is much better. With all of that, the game changes from one about avoiding death into a test of perfect planning and execution. You have to find the optimal path through the everchanging maze and perform properly so that you don't waste the timer that is constantly counting down. You have to stay in constant motion, trying to divine the one true way to build your ghost chain and clear all the pellets without wasted efforts. It amazes me that someone could take a older game that we all know and update it so thoroughly to modern design sensibilities while retaining what we enjoyed about the original. I may not be great at old-school arcade games, but there is something about Pac-Man CE DX, something incredible, that has me hooked. Now if you'll excuse me, I have to shave a couple seconds off of my Time Trial. If there is one problem with writing a book review after everyone else has, it's that all the best lines have already been written before you can get to them. I wonder if J. Robert King felt something similar when he sat down to write Edge Of Destiny, the second book leading up to the release of Guild Wars 2. A word of warning: there may be spoilers ahead. I'm not sure because I haven't written it yet. Of course, most of you have already read the book so it probably won't matter. While I'm making disclaimers, I should point out that there will also be an egregious overuse of comparisons between this book and Ghosts Of Ascalon by Matt Forbeck and Jeff Grubb. I can't help myself. Edge Of Destiny tells the story of the famous guild, Destiny's Edge: how they met, their adventures together, and how they eventually broke apart. The book starts with a brief prelude with two sylvari, Caithe and Faolain, who have a philosophical argument in the middle of a burning village. But it quick turns to the story's most developed character, Eir Stegalkin, a wood and stone carver who laments the senseless deaths of her fellow norn at the hands of the Dragonspawn. She eventually meets the asura Snaff and Zojja with whom she concocts a plan to defeat the Dragonspawn once and for all. Along with the odd trio of Caithe, the human Logan Thackeray, and the charr Rytlock Brimstone, they are more than a match for a champion of the Elder Dragons. That gets you about halfway into the book. The second half deals with their further exploits and eventual dissolution. Because the guild plays such a major part in the Guild Wars 2 storyline, it was great to learn more about the people we will be interacting with in the game. Unfortunately the format of the book really lets the story down. What could have easily been and 800 page book (or full trilogy on its own) is compressed down to 400 pages. The book starts off strong by introducing all of the characters, especially the norn Eir, and showing how they meet and come together as a team. But once everything is set up, it feels like King has discovered that he has to cram the remaining plot points into the last 150 pages. Luckily, the break neck speed of the story slows for the final battle and the book resolves nicely. Unfortunately, the middle part of the book feels like a missed opportunity. Instead of building up the characters, we see them running from battle to battle. There are hints that the characters are building relationships in the gaps between, like the letters showing the growing bond between Logan and Queen Jennah. But we never get to know the characters all the well. So when the end comes it is difficult to be emotionally invested in the outcome. It was also hard to get interested in the combat scenes. Since there was a fight every couple of chapters, they eventually became tedious. The rote descriptions of the fights did not help matters either. If I'm being hard on the book, it's because there was such potential at the start. Eir starts off as such a great character, right up until she becomes a superhero. And J. Robert King can actually write. His phrasing and word choices (outside of the fight scenes) were a joy to read, especially compared to the workmanlike prose of Ghosts Of Ascalon. I can't help but think he was given an impossible task and did with it what he could. I wonder how I would have handled a similar assignment, where I had to hit certain plot points but had limited space in which to include them. I think that is why Ghosts Of Ascalon was slightly more successful. There the authors might have been a little ham-fisted with their lore inclusions, but the heist framework served them quiet well. You got to see the world and learn about the people in it and got a fun story out of it as well. With all of the plot points Edge Of Destiny is forced to hit, it feels like King is forced to spend his time setting up the plot of Guild Wars 2 instead of telling a story that stands on its own. If I were a more charitable (or slightly more insane) critic, I might suggest that Edge Of Destiny is the perfect parody of the standard role-playing game. The book rushes from fight to fight with only a rough supporting story strung between to break up the monotony. Only I doubt anyone would let that get published as part of a game tie-in series. Nonetheless, it this had been released independently, I might be cheering it as an indictment of the type of stories we put up with in most games. In the end, I still have to recommend this book to anyone who is interested in the Guild Wars world and will be playing the upcoming game. Although there are some rough spots, the first half of the book is strong and it ends quite well. And it does fulfill its commission to establish a major component of the new game. I just can't help but envision what the book could have been if King were less constrained by the page count. As a side note, if I were a better artist, I would make a comic strip about Caithe going around and popping everyone's heads off with her stilettos. Someone needs to get on that for me. We knew it was coming, but now it is official: Champions Online is officially launching their free-to-play service on January 25, 2011. Called Champions Online: Free For All, you will now be able to play from level 1 to the cap without ever paying a cent. For everyone who gave up on the game early (and I really don't blame you), it is the perfect time to have a second look. The feature matrix shows what you have access to and what you're missing out on as an F2P player. Much like EQ2X, almost all of the content will be available. So you could play without ever touching your credit card and not miss anything. The great costume creator is all in there, which is the highlight for most people. You will be missing out on one thing, though, and it is a biggie. The custom power frameworks are only available to subscribers. From what I saw in the beta (and I freely admit that I didn't spend much time with it), the archetypes look like they will play just fine for most people's needs. Custom frameworks is the advanced mode and I can see why Cryptic would save that for paying customers. If you are so invested in the game that you want that much freedom, it is worth paying for. Cryptic also threw a new trailer up on the site, this time discussing all of the system updates for the game. The video, called System Shock, does for their game upgrades what past videos have done for content updates. If you haven't been keeping up on development (you know, like skipping all of the Champions posts on this blog), then this is a good way to see how the game has been polished since launch. A little part of me was hoping that Cryptic would announce new content as well, but it was not to be. CO has a pretty small team so that wouldn't be feasible. But keep an eye out. I'm willing to bet we have an Adventure Pack announcement in February. Call it a hunch (because that's what it is). Excellent thoughts on the subject. I actually think PQs are a real innovation. It just needs the right iteration to find out how to make it work. I know nothing about DCUO's implementation (didn't even know they had one), but I like how Rift and GW2 are tinkering with the formula is their own ways. I'm interested to see who gets it right. When Mythic announced open groups and public quests for Warhammer Online, I knew I was seeing the future. As a classic "Alone Together" MMO player, their plan sounded like a perfect solution to overcome the social barriers that keep people from playing together. And when the populations were high and people were invested in the game, PQs actually did work. At least they worked until they didn't any more. Where the first version of public quests failed was in scalability and attraction. As long as there was a sufficient population, there were always enough people around to mask those flaws. But as soon as the people disappeared, you couldn't run a PQ to save your life. Because PQs did not scale, there was no way for a solo player or small group to complete them. And because there were so many PQs and many were so far out of the way, there was little chance that players would choose to run the same PQs at the same time. Thus, the promise PQs in WAR is largely unfulfilled. But that doesn't mean there isn't a great idea still in there. Cryptic certainly co-opted the idea for their Open Missions in Champions Online. They didn't address the scalability issue except in one case: the open mission at the end of the tutorial can be soloed because there is no failure condition. Otherwise, they do not scale at all. They did work on attraction primarily by cutting open missions to just a couple per zone. And with only 6 zones in the game, there are not that many to run between. But you still have to get lucky running into people for them to work. With such slight changes, CO's open missions did little to advance the concept. Now that we're seeing a new generation of games arriving, we finally have games that are iterating on the public quest design. The two greatest proponents are Rift and Guild Wars 2. Each of their attempts are fascinating in how differently they confront the challenges. Rift's Rifts are the more traditional implementation. Though there are evidently rifts that can be soloed to provide a small scale experience, the basic mechanic is meant to be attempted with a large group. But they have overcome the attraction problem by dumping rifts right on top of the players and letting the invasions disrupt standard quest play. There is no way to avoid participation if you want to play the rest of the game. Some might find that disruptive, but forcing the players to use the core mechanic of the game seems like a smart move to me. That is such a great idea that ArenaNet is taking it a step further by making Guild Wars 2's Dynamic Events the only open world content available. Outside of the instanced PvP and main storyline, all adventuring content is built around that system. So again, the attraction problem is null if it is unavoidable. But GW2 also answers the question of scalability by letting the events adjust to the number of players taking part. If done correctly, shifting populations could never cause their content to fail due to lack of available players. Funny thing in all of this, I have yet to see someone take the open group concept further. World of Warcraft has come the closest by assembling teams with their Random Dungeon Finder. Maybe dynamic grouping will be the next step forward in encouraging people to play together. I admit it. I was the reason my wife and I did not get to see Sherlock back when it aired in the US the first time. I did not realize it was airing until all of the breathless tweets about how great the show was started to cross my phone. So to make amends with my darling wife, I tracked down a copy of the first series DVD set and together we watched all three episodes over the New Year's weekend. Now I understand what all the gushing was about. For those few of you who missed it as well, Sherlock is a modern incarnation of Arthur Conan Doyle's Sherlock Holmes stories. Sherlock has replaced his pipe with nicotine patches and makes his contacts by text message instead of wire, but he still is still the Holmes we remember. If fact, the creators have gone to great lengths to keep as much of the canon intact by finding modern equivalents for anything one might ask. The actors, of course, really sell the show. Benedict Cumberbatch is an amazing Holmes. His drive and his wit are there, as well as the aura that he's the smartest man in the room. Though he was good, Martin Freeman was perfect as Dr. John Watson. His everyman demeanor let us explore the world with him fresh. But there is genuine depth to his character as he tries to find his way back into society after leaving the war. For as much credit as I give to the actors, I need to also lavish on the director of the first and third episode, Paul McGuigan. His great sense of style establishes a taut, tense mood that permeate his episodes. It almost felt like I was watching a Michael Mann movie at times. This is not be belittle the efforts of second episode director, Euros Lyn. You can see the great work he's done on Doctor Who and Torchwood. However his workman-like photography and a weaker script make The Blind Banker the lesser of the three episodes. However, many kudos should go to series creators Steven Moffat and Mark Gatiss. The way they have updated Sherlock Holmes is nothing less than breathtaking. They managed to evoke not the Holmes right out of Doyle's stories, but instead the Holmes that we collectively imagine. When the frst episode, A Study In Pink, was finished I said to my wife "That was awesome." We went on to watch The Blind Banker right after and The Great Game the next day. I did not want to leave that world for anything. If for some reason you are like me and missed the series the first time around, know that you missed something great. Track down the DVD and dive in. You won't be disappointed. I don't write too many By Request posts, primarily because the search terms coming to my blog aren't as entertaining as some. Mostly it's people looking for my blog specifically or looking for the definition of bullet points in general. But sometimes I get a real head scratcher that makes me want to post. The term the piqued my interest this time was "Does Patrick Rothfuss play WoW?" First, I had to figure out how in the world that search term ended up at my blog. (Actually, that isn't too hard. I talk about WoW all the time, and Patrick Rothfuss is listed as a Friend of the Bullet Point due him randomly extolling the virtues of bullet points on his blog.) But after that passed, I had to do a little research. I'm bad at research. A quick Google search didn't turn up much. He had an interview up on his blog with Felicia Day and one would assume that he might mention it there. However there was nothing. So I decided to go straight to the source. Pat (he calls himself that right on the site so I'm going with it) has a contact form, probably because he wants all the spam just as much as I do. So I shot him an email to ask if he played and if I could share his response. Here is the text of the email I received this morning. I don't, I'm afraid. I know I'd enjoy it, but a game like that would eat my whole life. You can tell your readers, if you like. That was my expected response. Writing is work and World of Warcraft, or any MMO for that matter, is a time killer. I read about a few comic book writers who regularly played Xbox games together, but that seemed like an aberration. Gaming is a luxury for those of us who have the free time to waste. When I am writing seriously, I have to set my gaming aside because games make it way too easy to procrastinate. And if that is how you make a living, that is a formula for disaster. So there you go: Pat Rothfuss doesn't play WoW. Holy crap! I just realized that I wasted my one chance to talk with the author of one of my favorite books about anything in the world and I wasted on asking if played WoW! I hope you people are happy with the sacrifices I make for you. I wasn't going to go near this hornet's nest, but it feels like the hornets came to me. You're all seen the Massively article, right? I'm not even going to name it. It's just "the Massively article" now. When did we get to the point that we can't stand someone voicing an honest opinion? An opinion that is peppered with any number of qualifications no less. Are we all so insecure that we can't put up with anything that contradicts our likes and dislikes? Oh, right. This is the Internet. Come on, everyone, this isn't Congress. We're not debating tax cuts for the rich versus handouts for the poor. This is video games we're talking about. Maybe the Massively article is right or maybe it's wrong, but that will have zero effect on how much you enjoy the game. Everyone has an opinion. Everyone is a lot of people. What do you think the chances are that all of those people agree with you? Not good, folks. People are going to disagree with you. How you deal with that disagreement will determine what kind of human being you are. Various other bloggers I read and enjoy (Hunter, Pete, Ravious, and Tipa) have voiced a full gamut of opinions, so I'm sure you'll find one that matches yours. But don't forget to visit the other blogs so that you can flame them for thinking incorrectly. Here are my predictions for 2011. But instead of the usual prognostications, I'm going to predict my eventual feelings for the game. This list is ordered as I thought of titles and no ranking is implied. In fact, I'm leaving them in this order just because I'm too lazy to switch it up. Diablo III - I was looking forward to D3 last year even though I knew it wouldn't come out. I continue to look forward to it this year. Torchlight scratched that itch for a good long time, but I'm curious what the team at Blizzard has waiting for us. Whether it will actually come out this year is a matter for debate, but I wouldn't be surprised if they get it out in time for the holidays. Prediction: I'll play this game quite heavily for a week, then I'll get distracted some time around Act III and forget to go back to it for a couple months. Eventually I'll go back and finish the game, but I won't be adding this to my Top Five list at the end of the year. Guild Wars 2 - Another game on my long term wish list, I've been waiting for GW2 for what feels like just about forever. Again, I don't know if it will come out this year, but I desperately hope it will. Prediction: I could go two ways with this, but hedging my best would be a cop out. So I'm going bold. I believe that the game will come out in 2011. I'm going to fall in love with the story and dynamic events so much that it becomes the game I log into out of habit. I'll start writing an FAQ of some sort that I'll abandon when someone else does it faster and better. And at some point my wife will wake up in the middle of the night, walk into the room, and ask if I'm still playing at 4am in the morning. Dragon Age 2 - To me, Dragon Age was particularly "meh." As the spiritual successor to a series that I didn't really enjoy, you would think that I would have skipped it. But when the blogging community erupted with love over the game, I got sucked in. It did not live up to the hype. Even playing on Easy, the combat was so annoying and tedious that it disrupted any enjoyment I might have received from the story. I do appreciate that the DA2 team is shaping their game a little more like Mass Effect, but I doubt it will be enough. Prediction: Everyone falls in love with DA2 but I successfully ignore it for several months. At least, up until Steam has a big sale and I buy it despite myself. Which I will eventually regret. Mass Effect 3 - Mass Effect 3! MASS EFFECT 3!!!! Prediction: I will buy, play, and love the hell out of Bioware's next masterpiece. But some idiot will post a spoiler that ruins the ending for me and I will always wonder what my experience would have been like if I discovered the big ending for myself. Torchlight II - I really enjoyed the simplicity of Torchlight, enough to play all the way through to the end. Once. Since I lost my save game during a hard drive failure, I haven't given the game much attention since then, but I'm looking forward to what Runic adds to the new game. Prediction: I will preorder TL2 and play when it launches and have a good time doing so. It won't feel like the second coming for the action RPG, but I will see it through to the end. Dawn of War II: Retribution - I liked DoW II even though I generally dislike real time strategy games. Probably because it was such a hybrid game that it was much more manageable for me. That said, I didn't get into the expansion at all, having stopped playing after I finished the first campaign. Prediction: I don't see myself buying Retribution. At least, not this year. Or unless it goes on some crazy sale next Christmas. LA Noire - I learned a whole new appreciation for Rockstar after playing Bully and Red Dead Redemption this year. Considering how much I love post-war Los Angeles (thanks to Raymond Chandler), my expectations are unreasonably high for this game. The technology looks awesome, but we haven't seen much of the gameplay yet. If the game leans on its story and the gameplay is good enough, I'm expecting to love it. Prediction: I'll buy LA Noire within the first week of launch and then play it through to the end. It won't be my game of the year, but it will make my Top Five. The Elder Scrolls 5: Skyrim - How many Elder Scrolls games do I have to buy before I learn my lesson? I liked Daggerfall a lot, but that was the last time. Prediction: Skyrim will come out on the expected launch date and I won't care. Ever. Portal 2 - You've heard of Portal, right? This will be more of that. And I really, really want to play more Portal. Prediction: I will buy and play Portal 2, but not at launch. I'll be much too busy with other games. But when I get to it, it will be a lot of fun, even if it feels a little too long. I will never play the co-op campaign. 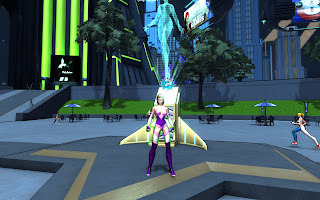 DC Universe Online - With the glut of fantasy MMOs on the market, you would think that I'd be happy to see something launch from a different genre. The only problem is that I don't care for the DC Universe at all. (Well okay, I like the new Batwoman, but that's mostly love for Greg Rucka.) I'm sure this game will be okay, but the license is enough to turn me off. Prediction: Although the game will launch early this year, I will not be playing it. Bonus Prediction: Very few of you will be playing it either. Rift - Speaking of hype, there is no way to avoid Rift-mania right now. It wasn't on my radar until everyone started waving their beta tester credentials in my face. Nonetheless, it sounds halfway interesting and I'd like to see more. Prediction: I'll get caught up in the hype and jump in at launch. I'll play long enough that I get bored and stop playing within a few weeks. Then I'll forget to unsubscribe and accidentally pay for a month that I don't use. Shame on me. Tera - So, there is this other MMO coming out, right? The one with the half dress women? (Oh, that describes most of them. Sorry.) Action based sounds interesting, but is it doing anything else to differentiate it? Don't know. Maybe we'll find out more when the hype curve slopes up. Prediction: Tera will come out this year and I will barely take any notice. Maybe I'll think about trying it out, but only get as far as looking at the stupid box price and never touch my credit card. Star Wars: The Old Republic - And finally, we come to biggest game on the horizon. (I admit, I moved this one to the end, but I really did write it last.) SWTOR promises to be the most talked about game of 2011. Assuming, of course, that it actually launches. Prediction: Because my brother is a fan and will expect me to play with him, I will pick up a copy a couple weeks after launch. We will play a few nights together. Eventually, I will grow dissatisfied by the gameplay and the story will not be enough to keep me interested. He will keep playing without me. I'll drift away, having only rolled a single character, and cancel my subscription before the month in the box is up. Bonus Prediction: I will be spending a lot of time this year reading tweets and blog posts from SWTOR fans. Each time I will have to restrain myself to replying with snarky comments. Right up until the community turns on it and declares it the worst game ever. Then I will start in with the "I told you so."